Made from .25-inch thick quality acrylic. This template was designed with slots leading into each circle so it will work for all mid-arm and longarm machines that have a hopping foot. Packaging includes instructions for use safety tips and design ideas. 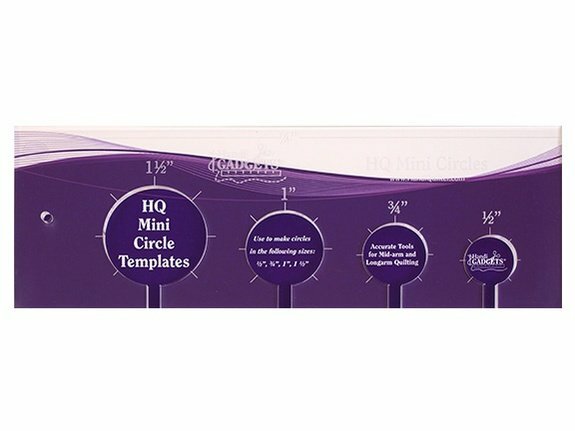 Use with the HQ Ruler Base. Dimensions: 11 x 5 x .25 in.